It’s happening now! 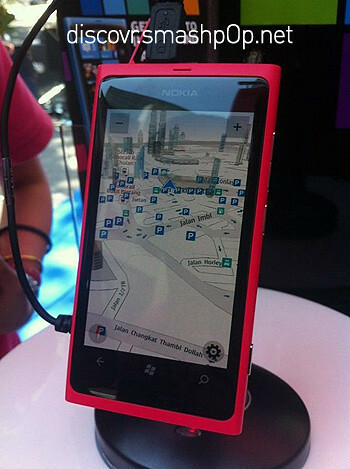 The launch of Nokia’s first Windows Phones the Lumia 800 and 710 at Pavilion KL. 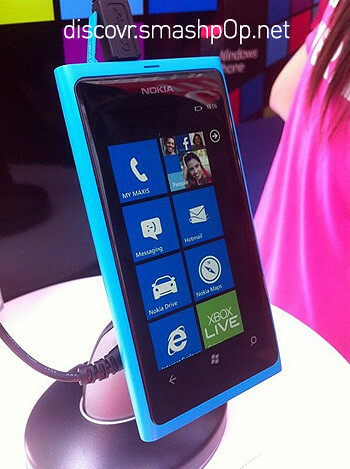 Nokia Lumia 710 is RM999!! Sale begins at 530pm and people have already started queueing since 6am! 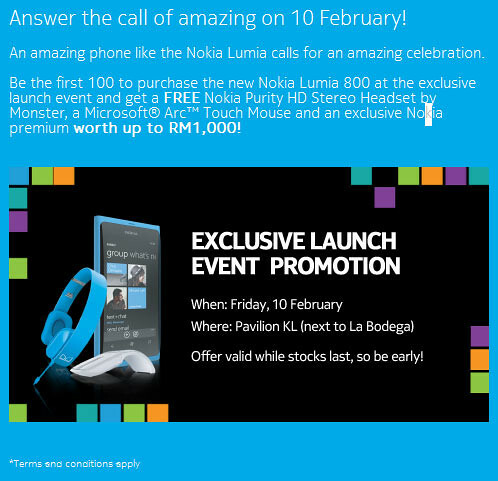 The first 100 to purchase the new Nokia Lumia 800 at the exclusive launch event and get a FREE Nokia Purity HD Stereo Headset by Monster, a Microsoft® Arc™ Touch Mouse and an exclusive Nokia premium worth up to RM1,000! 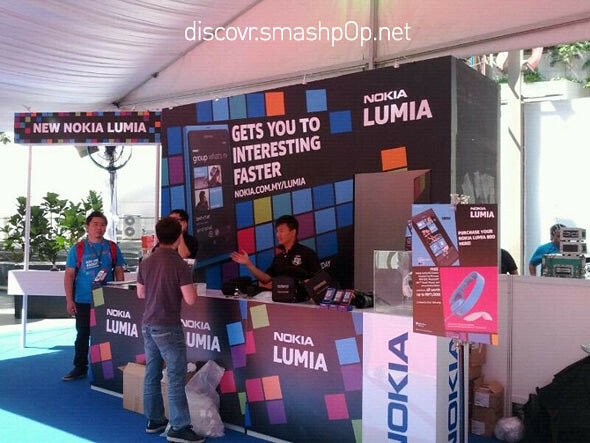 So if you wanna get these awesome goodies, rush to Pavilion KL now! The first 3 person to queue. They came as early as 6am just now. AMAZING! 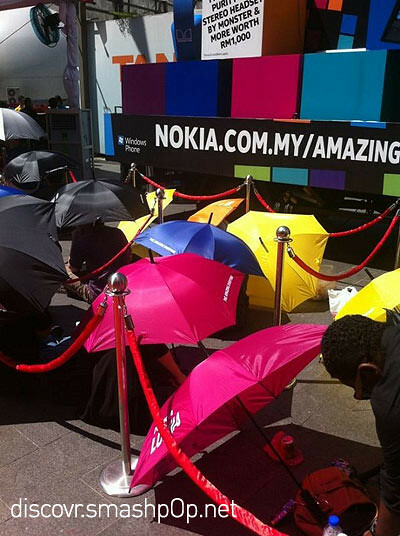 Everyone in the queue was given a Nokia Lumia square umbrella to shelter them from the hot hot sun. Here’s a look at the sales counter. 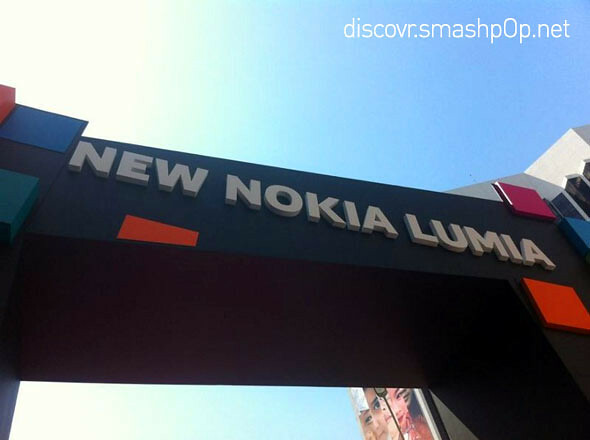 There is currently about 50 people in the queue(1130am). To those interested, you still have a chance! 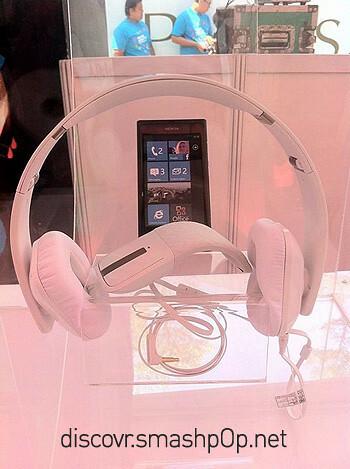 Follow more updates Twitter at http://twitter.com/smashpop or search for @smashpop on Twitter. Photos thanks to my cousin & good friend at location. 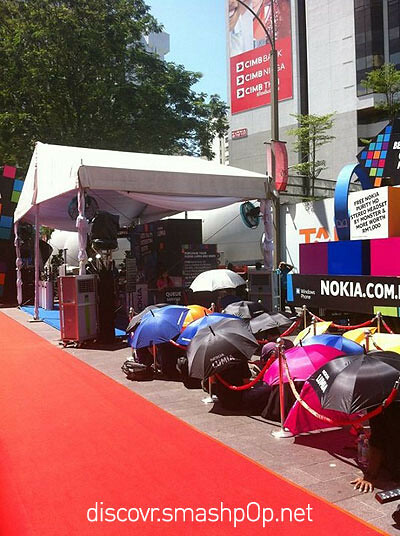 4 Responses to "LIVE Update From Nokia Lumia Launch At Pavilion KL, Malaysia"
The first 4 guys replying here in the event , hot and sunny! !but is worth it!